This recipe is easy, quick and super delicious. Here’s what you need. Slice the onions and place them in a bowl. Add your pine nuts, feta cheese, pinch of salt and arugula. Drizzle the extra virgin olive oil, lemon juice and balsamic vinegar. Mix it all together and you have a delicious bowl of salad. Great for those sizzling summer nights. Pair with a glass of Rose, Sancerre or Chardonnay. Bon appetite! Enjoy! After a long day at work we all want to come home to relax and unwind. What better way to do so than with a cocktail in hand. During those hot summer nights, try Something that is refreshing after every sip. Trade in your traditional beer, vodka tonics and cosmos for this summer’s refresher— The St. Germain Cocktail! Method: Fill a tall Collin’s glass with ice. Add champagne first. then St.-Germain, then Club Soda. Stir completely. 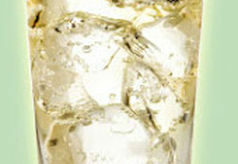 * Garnish with a lemon twist, making sure to squeeze essential oils into the glass. * St-Germain is heavier than wine, so it will settle to the bottom unless mixed thoroughly. Spice is optional, so the spice level can be what you like. (Taste before adding extra or even before adding the spices, and add at your own degression). But in our home we love the Spice. The spicer the better!! My husband is from the Islands, so he is no stranger to spice. And I have always loved spicy foods, and my palette has grown a lot over the years. But I also think I’ve grown accustom to the heat because of my husbands tolerance. Though I can’t reach his levels of spice, I’m somwhere between medium -high heat where he’s into extreme heat. Anyways, here is my recipe for Spicy Mango Salsa. Place all the ingredients in a medium or large mixing bowl and mix all the ingredients together thoroughly. Once everything is blended and mixed together, you can serve with just about anything. I topped off our tilapia filets with this salsa and it was delicious. Just on its own with some tortilla chips. 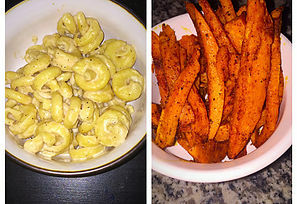 Healthy, Simple, Easy, and Delicious, 4 things I’m all about when i’m cooking in the kitchen! I don’t add any salt to anything that I cook, because the spices give enough flavor on their own. 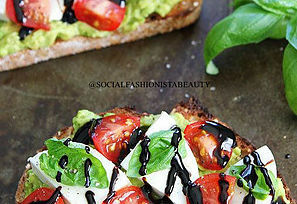 Try this recipe out and remember to follow me: @SocialFashionistaBeauty and #SFBEATS #SFBRecipes! Enjoy!! CRAZY FOR AVOCADOS!!!! As of late, I’ve grown to love and devour avocados. I’m a huge fan, some may detest it, some may be allergic (sorry folks) and some may just LOVE them just as much as I do!! Now the latest crave in tasty delights are toast, specifically Avocado toast. It’s become a great staple for a simple, fresh and healthy dish. That can be serve daily at any time of the day, breakfast, lunch or even dinner. There are so many variations to this quick, easy and might I add oh so delicious dish, that the possibilities are endless!! And its HEALTHY TOO!! It’s the GOOD fat we all want and need!! Healthy and nutritious I’m ALL about that!! After you’ve cut, deseed, and scooped your avocado, place in a bowl and mash it up. Mash it up to however you like (Smooth or leave some chucks whatever your heart desires). Then set aside, then once your toast is all toasted and ready, place on a plate and assemble your avocado toast. Spread your avocado onto the toast. Add a sprinkle of ground pepper and the red pepper flakes. Place your diced or sliced heirlooms on your toast, next do the same for your mozzarella. Sprinkle a little more red pepper flakes (optional and your desired amount). 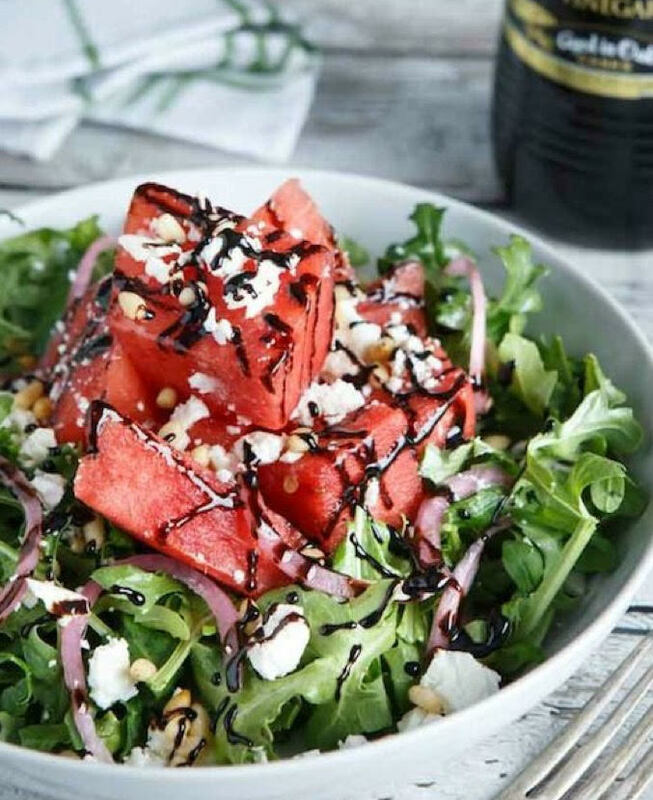 Drizzle a little EVOO and top it off with a your balsamic glaze or vinegarette either works just fine. Top your toast off with a few basil leaves this step is completely is optional. But it’s so delicious, how can you not try it. Either way you’ll love this combination! There you have it–now eat, devour and enjoy! Try it and let me know what you think!! Don’t forget to tag and hashtag me. Enjoy Loves! Avocados! It’s all the rave now from avocado toast, to using it in our guacamoles, and now in smoothies. 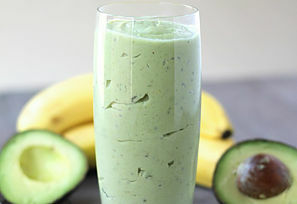 I know what your thinking, really avocados in a smoothie….?? And the answer is YASSSSSS!! It’s absolutely, amazingly delicious. Avocados aren’t only delicious, they’re good for you too. They’re the good kind of fat that we all want and need. Trust me, they’re that good. Avocados have a lot of health benefits too. Avocados are an excellent source of antioxidants that may help slow aging and prevent certain cancers and heart disease. They are high in folate which also helps protect your heart and may guard against stroke. Studies have shown that avocados can lower cholesterol, guard against eye disease, help fight oral cancer, prevent breast cancer and has been shown to inhibit prostate cancer. Avocados promote the absorption of certain nutrients such as lycopene and beta carotene, so add a tomato and carrot to your avocado smoothies to help maximize your nutrition. I experimented the other day and I made this smoothie. And when I tell you its so delish, easy and healthy for you, it REALLY is. It helps with weight loss, if you drink this smoothie for breakfast and dinner. You’ll see results, when incorporated with a healthy balanced diet and exercise. 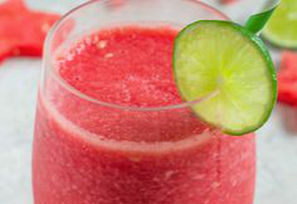 Place all of the ingredients in a blender and pulse twice then blend on high until everything is well blended and smooth. Pour into a cup and enjoy!! It’s that simple. Try it out and share your thoughts with me. Comment below or write to me I love hearing from all of you. I’d love to see you’re photos on this recipe, so tag me on instagram using #SocialFashionistaBeautyRecipes or #SFBRecipes. And so many more benefits. 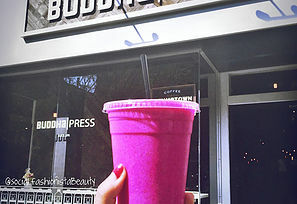 Try a Pitaya Smoothie or bowl Today!! Click below to read more of the benefits of pitaya, trust me you won’t regret trying it. Happy Labor Day!! It may be September and Summer may be over, but its still beautiful out and you still can relax and take a sip on this! 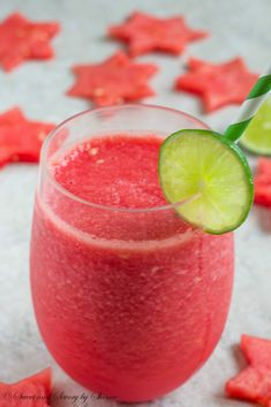 The Fall weather hasn’t hit us yet, so try this Easy Summer Breeze refresher. It’s so easy to make and it only has 3 ingredients!!! it not taste great, its low in calories as well! 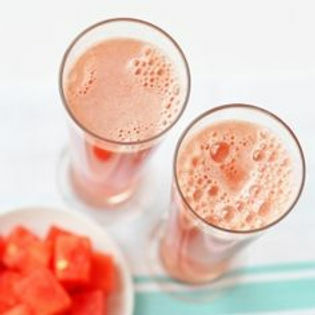 This is a guilt-free drink so don’t worry about those extra calories!! DRINK UP!!! cheers!! combine all these ingredients together in a blender and blend away. blend until everything is fully blended and smooth.. pour and enjoy. Time and time again we all crave for the ultimate comfort food…. But we think about all the calories that in all those delicious foods. So we tend to feel guilty about the calories. Well, here are two recipes where you don’t have to feel guilty. Comfort food but ½ the calories and more. So healthy and so good!! Always homemade with love, and always baked never fried! And both recipes still have the same great taste you know and love. Can’t beat that! Let’s get started! Boil a pot of water add 2 pinches of salt into the water. Use any kind of Gluten-Free, low fat pasta. ( Elbow, Macaroni, Angel Hair, Fettuccine, etc)… Whatever your heart desires, I used Cavatappi Pasta (Macaroni type ). Add pasta when your water is rapidly boiling, (cooks the pasta fast). Cook until al dente. Drain and keep a ½ a cup of the pasta water. (For the end) Set pasta aside. Melt the butter in a saucepan over medium heat. Add some flour over the melted butter, and whisk together until they form bubbles. Ladle in little by little, your milk and whisk quickly. Blend until your sauce is smooth. Continue to whisk, until the sauce has thickened. Continue to whisk, add your black ground pepper and ground nutmeg. Continuously whisking all ingredients, making a nice smooth thick sauce. Finish by adding your cheese of choice. Mix all together. Last step, put in your pasta and mix everything all together, so that your pasta is fully coated. There you have it! Homemade gluten-free Bechemel Sauce. Line a baking sheet with parchment paper. Cut your fries long, like thin steak fries. Coat and toss the fries with Olive oil and sprinkle on your salt, pepper, garlic powder, and your paprika. You can also add 1/8 cayenne pepper to add a little spice and kick your your fries up a notch! Giving them a little punch, but still AMAZINGLY good! Pop them into the oven for about 20 to 25 minutes turn them from time to time. And there you have it, Sweet potato baked fries. Baked never fried, a healthy and delicious snack or meal. Enjoy! Test these recipes out, tell me what you think. Post your photos and tag me!! I’d love to see what you re-create!! Bon Appetit! FOR MORE RECIPES STAY TUNED! COMBINE ALL THE INGREDIENTS IN A ZIPLOCK BAG AND PLACE THE FLANK STEAK IN THE BAG. 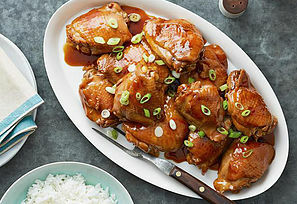 MARINADE ALL DAY WHILE AT WORK OR PREPARE THE NIGHT BEFORE AND MARINATE OVERNIGHT. WHEN YOUR READY TO COOK, SET THE OVEN TO 375 DEGREES AND BROIL FOR 15-18 MINUTES. TURNING THE MEAT EVERY SO OFTEN EVERY 6 TO 8 MINUTES. 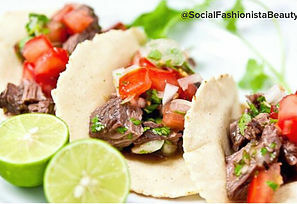 TACO TUESDAYS NEVER LOOKED SO GOOD AND DELICIOUS! TRY THIS RECIPE OUT AND LET ME KNOW YOUR THOUGHTS!